Odipodev is a data analytics and research firm operating out of Nairobi. Is the Media Setting the Right Agenda? 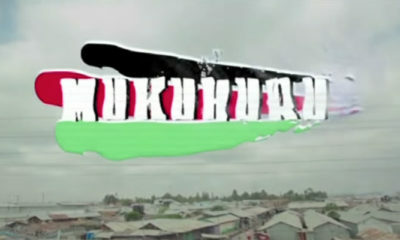 Mukuhuru: Who Owns Mukuru – Kenya’s Second Largest Informal Settlement? The political vernacular of corruption has lost its lustre, especially with the millennial generation, who today perceive corruption not as the abuse of public office for private gain but the abuse itself lays in the existence of the public office. What is clear is that in Kenya’s case, the public policy reform/technocratic approach to fighting corruption has become utterly irrelevant in the current political context. The Presidential ‘Summit’ on Governance and Corruption in November 2016 as former anti-graft Czar John Githongo opined was the final nail in the coffin of the ‘technical fix’ to corruption when President Uhuru Kenyatta expressed his helplessness, ripped into his anti-corruption officials and their approach, and basically reduced the event to a public relations exercise. Kenyans have done all the anti-corruption benchmarking, created all the anti-graft institutions, committees, working groups, task forces, units; drafted all the frameworks and policy papers; taken all the advice possible from multilaterals, bilaterals, NGOs, the private sector and others including churches; enacted all the laws and their subsidiaries; held all the conferences, summits, workshops and get-togethers possible. Fundamentally, what started in 1956 with a series of legal and institutional reforms aimed at improving governance and fighting corruption was a phase that ended with Presidential Summit on Governance and Corruption in November 2016. But the history of corruption didn’t begin here. In 1888, the Imperial British East Africa Company (IBEACo) claimed Kenya as one of its territories. That arrangement continued until 1895 when the territory reverted to the British as the East African Protectorate encompassing areas deemed “waste and unoccupied” that did not have a settled form of government. 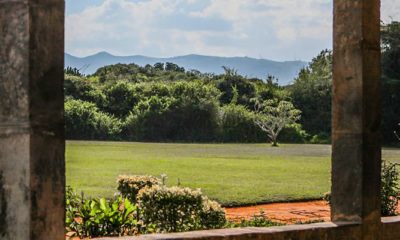 In the early 1900s, Europeans began to stream into the country at the invitation of the colonial government and were allocated the most fertile land upcountry in areas where for generations Africans had farmed, grazed animals, and practised their customs freely. 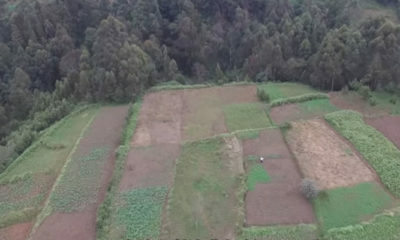 The consequence was that the indigenous people were driven to low-density areas unsuitable for agriculture with low rainfall, poor soil, and absence of pasture. Those who didn’t find a place to settle became squatters in white farms or worked as labourers for Asian merchants. The expropriation of African land by Europeans was done fraudulently and represented one of the first acts of land grabbing and looting by the colonial regime in Kenya. They just grabbed African farms without much effort to hide their activities. Until then, the African lands were secured by the Protectorate. Regulations of 1897 forbade any alienation of land regularly used by Africans unless the colonial administration was satisfied the land was no longer regularly used and that Africans would not be adversely affected. That changed with the Crown Lands Ordinance of 1902 which gave the government jurisdiction over all lands subject to the right of occupation by Africans. From that time, African ownership of land was not recognized; only occupation and use of it were permitted. In 1915, another Crown Land Ordinance was passed giving whites 999- year leases. It also transferred all lands formerly occupied by Africans to the control of the governor, and barred European landowners from employing non-white managers or supervisors to be in-charge of their holdings. The Ordinance also created African reserves to be located away from white settlements. As the whites entrenched themselves, more land laws were passed to govern different parts of the country making the Land Law in Kenya one of the most complicated land systems in the world. After World War II, the British government heightened the process of settling former servicemen by grabbing more land. Overall, 1% of the white population occupied 16,500 square miles of land. At that time, crown or public land comprised 76.97% of Kenya. It included everything from forests to lakes and rivers. However, 70% of it was in the dry Northern Frontier Province, inhabited mainly by Somali ethnic groups. Of the total land area, only 1.9% was put to agricultural use at the time and almost all of it by white settlers. Thus, while each of the majority Africans occupied one or two acres on average, whites were sitting on 160 acres each per person. In 1935, Archdeacon Eric Burns, a British member of the Kenya Legislative Council (LegCo), complained that chiefs were forcing widows exempted from taxes into paying them a bribe so that the widows could retain their exemptions; and that animals sold in distress for non-payment of tax were undervalued and purchased by the chiefs and their henchmen. The evil of corruption and bribery got worse when colonialists enacted the Chief’s Act in 1937 giving the officials a wider latitude of powers, including maintaining law and order, collecting taxes to help sustain the luxurious lifestyles of whites, overseeing agricultural activities in their areas, and mediating disputes. To meet their financial needs, chiefs habitually confiscated livestock from tax defaulters to swell their herds, and accumulated land that really belonged to other people.” It was routine for chiefs to raid a village and demand surrender of personal property under threats of arrest. They collected hut and poll taxes and retained part of the money. The more levy they collected the more money went into the Exchequer and into their pockets. 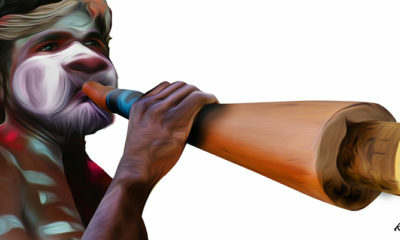 During colonial times, chiefs commanded respect and trepidation from locals in equal measures. Chiefs exerted themselves to please the authorities, often taking actions that turned out to be abuse of peoples’ rights. They sometimes beat and tortured innocent villagers to demonstrate their commitment to duty and loyalty to their masters. As the government’s “eyes” on the ground, chiefs frequently held barazas to explain colonial plans and policies, and were spokespeople and translators for white administration officials. The biggest known case of public corruption in Colonial Kenya involved the construction of the Mbotela and Ofafa housing estates on the east part of Nairobi in the 1950s. 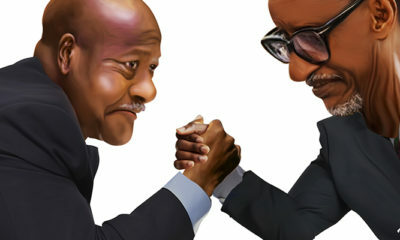 According to Joe Khamisi in his seminal work Kenya: Looters and Grabbers: 54 Years of Corruption and Plunder by the Elite, the project was intended to ease accommodation problems created by mass movements of people from the rural areas in search of jobs in the city, as well as the return of African soldiers from World War II. Thirteen thousand bed spaces per year were scheduled to be built over a period of five years at a cost of GBP.2 million (KES.273 million), which was to come as a grant from the Colonial Development Corporation (CDC). In those years, construction work was dominated by big European and Asian owned firms though many small “one-job-at-a-time operations” also existed. Those nondescript companies were prepared to take any job even though they didn’t have proper equipment and relied on cheap unskilled labor. Soon after tendering for the housing project was done and contracts awarded, news went around alleging corrupt practices in the selection process. The Criminal Investigation Department (CID) was called in to investigate. When news reached London, the British government appointed Sir Alan Rose a well-known lawyer to head a three-man commission with a brief to “examine accusations of corruption and malpractices in every aspect of the affairs of the Nairobi City Council. A long list of contraventions of building specifications was provided, including “shallow excavation of footings, under-strength concreting in floors and lintels, substandard joinery, the use of cheaper, weaker materials throughout, and generally poor standards of workmanship” – all of which had apparently been approved by council officers in exchange for kickbacks. One of several officials implicated in the debacle was the city engineer Harold Whipp. Before the council made the decision to sack him, Whipp committed suicide and his body was found on a railway line. The Commission also unearthed several other cases of misconduct in the council including some in the fire brigade and the city market. The Mayor, Israel Somen, and his deputy, Dobbs Johnson, were cited for corrupt practices. The two survived the scandal and Somen was, after independence, appointed by Tel Aviv as the Israel ambassador to Kenya. The Rose Commission concluded that bribery and corruption were “by no means uncommon” among city office holders at ‘all levels and in all departments’; that the scale of cash inducements involved to secure services or preference from the council was often significant; and that such behavior was accepted as the norm and widely tolerated. So, it wasn’t just African home guards and chiefs who engaged in bribery and extortion in colonial Kenya. Europeans were as guilty of corruption and malpractice in colonial Nairobi as anyone else, and Africans at the bottom of the colonial racial hierarchy were most often its victim. To stymie the growing trend of corruption in government, the LegCo (Legislative Council) enacted the Prevention of Corruption Act (Cap 65) in 1956, setting out jail terms for any public servant who solicited, accepted or obtained money unlawfully in exchange for service. It also provided for forfeiture of awards of gifts offered in a corrupt manner.” It was the Roe vs.Wade legislation as pertaining to fighting corruption in Kenya. On 12 December 1963, the Union Jack was lowered for the last time on Kenya soil, Kenya obtained ‘independence’ from the British. Under its first president, Jomo Kenyatta promulgated its first constitution which laid bare the hopes, dreams and promises of the Kenyan people. The government promised every part of the country will be controlled by the indigenous people of the area. Too, it promised it would eradicate poverty, disease and ignorance and also fight corruption. However, that arrangement lasted for less than a year as Kenyatta abolished the region-based independence constitution in 1964 and introduced a unitary system of government which gave the presidency executive powers. Corruption took centre stage. An estimated 25,000 people were settled in the month of January 1964 alone. The pace in which the process was implemented implied there was no intention to vet and accord deserving cases their rights, but rather persons had already been predetermined or identified by the authorities.” The bottom line was: corruption was at play. One of the first things Kenyatta did after becoming Prime Minister, was to order a Rolls Royce car from the London’s Motor Show, for his use without any state budgetary provisions or (even) personal intent to pay. In doing so, Kenyatta became the first Kenyan official to violate procurement procedures which required that the Central Tender Board (CTB) call for multiple quotations from suppliers. It was a colonial process which did not change until the 1970s. Kenyatta also ignored the advice of Finance Minister James Gichuru who told him Kenya was short of capital and therefore bankrupt and could not afford the expensive vehicle. Having heard the complaints of senior officials in his administration about their inability to do private business because of government restrictions, Kenyatta 1 regime decided to do something. In 1971, Kenyatta appointed a body called the “Public Service Structure and Remuneration Commission” to recommend reforms in the public service on a system established by the colonial government. Known as the Ndegwa Commission, after its Chairman Duncan Ndegwa, the Commission recommended sweeping changes in moral and professional conduct of civil servants. It suggested increases in civil service salaries; the appointment of an ombudsman to oversee integrity in government; and slashing the number of parastatals. Furthermore, it permitted civil servants to engage in private businesses. The Ndegwa report broke the colonial rule which was observed up to around 1970 that public workers should not engage in businesses. In the meantime, civil servants began immediately to engage in businesses. Soon, the civil service was submerged in corruption from top to bottom. Officers demanded bribes and sold tips and confidential government information to the highest bidders. Service delivery was impacted as many civil servants were often away tending to their private businesses. The Ndegwa allowed people to use their public offices to loot public resources with very little or no accountability. When Moi came to power many Kenyans hoped corruption would end. Because Kenya’s second president was a staunch Christian; and as a man with a strong rural upbringing, he was less entangled in the twisted urban lifestyles of intrigues, corruption, and conspiracy. He demonstrated that commitment by lashing at corruption and those involved in it wherever he went in the country, even as his family and cronies were amassing wealth. At one time, he showed up in Parliament to personally lead a debate on a legislation intended to deal with the menace. In 1982, Moi formed a working committee to draft a national code of conduct to deal with various issues including inequitable distribution of resources, misappropriation of public funds, and corruption. In announcing its formation, he accused some of his officials of greed and selfishness and promised tough action. He said his government would no longer tolerate graft and those caught would be punished severely. The working committee, chaired by a prominent businessman, B. M. Gecaga, submitted its report in October 1983, but that was the last time anyone heard of it. The whole charade appeared to be a public relations stint to hoodwink Kenyans into believing he was serious about corruption. It was a show of empty bravado. In 1993, the Government established the Police Anti-Corruption Squad in the police force to spearhead the fight against corruption in the Criminal Investigation Department. It was abandoned in 1995. 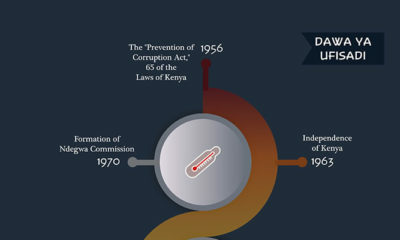 The Prevention of Corruption Act (Cap 65) was amended in 1997 and would lead to the creation of the Kenya Anti-Corruption Authority (KACA), the first government anti-corruption organ established by law to fight corruption. The first Director of the Kenya Anti-Corruption Authority, John Harun Mwau, was appointed in December, 1997. 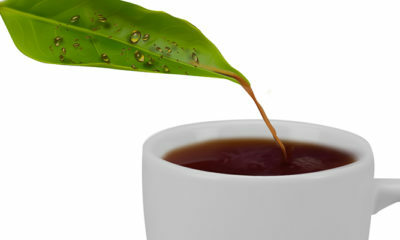 KACA was disbanded in the year 2000 after it was declared unconstitutional by the High Court. This decision was on the basis, among others, that the powers of KACA to prosecute went against Section 26 of the then Constitution which had then preserved powers of prosecution on the Attorney General. After the disbandment of KACA, the Anti-Corruption Police Unit was formed as an administrative organ to continue the fight against corruption. In July 1998, Parliament appointed a Select Committee on anti-corruption under the Chairmanship of MP Musikari Kombo and gave it the mandate to study and investigate the causes, nature, extent and impact of corruption in Kenya; identify the key perpetrators and beneficiaries of corruption; recommend immediate and effective measures to be taken against such individuals involved in corruption, recover public property corruptly appropriated by them; and enact a Bill to provide stiff penalties for corruption related offences. The motion led to the enactment of the Anti Corruption and Economic Crimes Bill (2000) which established the Kenya Anti-Corruption Commission (KACC) with responsibilities to investigate corrupt cases and institute civil proceedings for recovery of corruptly obtained assets; and the formation of the Kenya anti-corruption advisory board to be responsible for appointing commissioners, and advise the commission on the performance of its functions. Nothing came out of those efforts until Moi handed over the government to Kibaki in December 2002. Kibaki’s victory in the 2002 general elections came as a big sigh of relief that four decades of KANU’s misrule had come to an end. Kenyans dreamed of a new beginning away from corruption, misadministration, and human injustices. Kibaki vowed to deal firmly with corruption which Moi had failed to clamp down. Kibaki said that corruption would cease to be a way of life in Kenya. Soon after being sworn-in, Kibaki moved to create institutions to deal with the challenge. He established the Kenya Anti-Corruption Commission (KACC) and appointed John Githongo as PS in his office to deal with matters of ethics in the public sector. Within a few months, he got Parliament to enact the public officer ethics legislation to compel all public servants to declare their wealth. The legislation tightened protocols to discourage favoritism, nepotism and administrative malpractices in government. From all initial indications, Kenyans were convinced Kibaki was the man to steer the country away from rampant sleaze which had dominated the two previous administrations. KACC was born out of the Anti-Corruption and Economic Crimes Act (ACECA) and the Public Officers Ethics Act of 2003 which became fully operational on 2 May 2003. The Act also established the Kenya Anti- Corruption Advisory Board (KACAB), a body which recommends to Parliament persons to be appointed as director and assistant directors, and advises the commission on the exercise of its powers and performance of its functions. However, while the anti-corruption push, led from the front by President Mwai Kibaki, started with a bang it faltered within eight months. 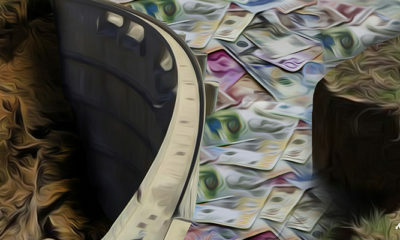 Through a series of circulars, directives, committees, commissions and endless meetings, the fight against corruption was bureaucratised, effectively reduced to an annual laundry list by the anti-corruption authority of what they mostly hadn’t achieved, and the odd court appearance by suspects wearing broad smiles and expensive suits. 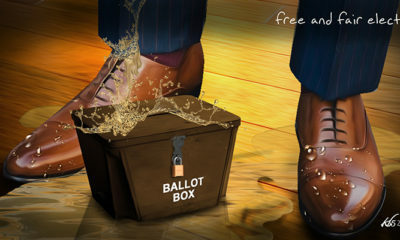 In August 2010, a new constitution was promulgated in Kenya, which made far-reaching changes on governance, leadership, integrity in the anti-corruption regime. Article 79 of the Constitution required Parliament to enact legislation to establish an independent body to ensure compliance with and enforcement of Chapter Six of the Constitution. Pursuant to this Article, Parliament enacted the Ethics and Anti Corruption Commission Act, No. 22 of 2011 which came into effect on 5th September 2011. The Act amended the Anti-Corruption and Economic Crimes Act (ACECA) by repealing the provisions establishing Kenya Anti Corruption Commission and its Advisory Board, while retaining all other provisions relating to corruption offences and economic crimes, their investigation and prosecution. After billions of dollars have been spent in the war on graft, today, corruption is undergoing a moral and political paralysis. 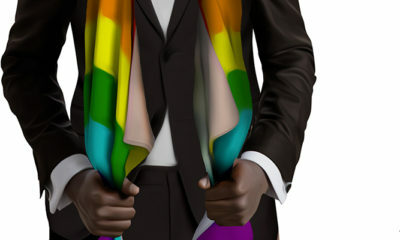 Largely due to the politicization of corruption by the Kenyan political class in their battles for 2022, and more fundamentally because the standard post-colonial logic that “all would be fine” if it were not for the corruption of some persons and their ability to mobilise their own ethnic groups in pursuit of the public purse has been falsified. The political vernacular of corruption has lost its luster, especially with the millennial generation, who today perceive corruption not as the abuse of public office for private gain but the abuse itself lays in the existence of the public office. Indeed, the very idea and roots of the Kenyan state is that of “corruption” and of the continuous abuse of its citizens. Since 1975, about 350 terror attacks have occurred on Kenyan soil. 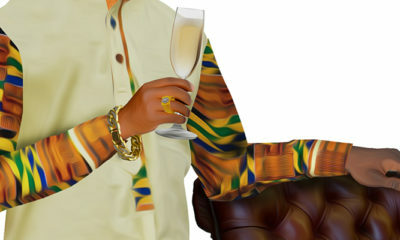 Data compiled by JULIET ATELLAH and graphic design by MDOGO. On 1 March 1975, three bombs exploded at the OTC bus stop in Nairobi. 27 people were killed and 100 others injured. No one claimed responsibility for the incident and the police declined to speculate on the identities and motives of the bombers. On 31 December 1980, the Fairmont Norfolk Hotel was bombed by terrorists. 20 people were killed and 80 were injured after the attack. The hotel was extensively damaged and renovation commenced immediately. The terrorist, identified later by the police and Interpol as Quddura Mohammad Abd-el-Hamid, had boarded the 2.30 p.m. Kenya Airways flight bound for Jeddah via Khartoum six hours before the bomb exploded. He was a known terrorist travelling under the name Muradi Alkali with a Maltese passport. On 7 August 1998 the U.S embassy in Kenya was bombed killing 212 people and leaving more than 4,500 wounded. The blast occurred at about 10:45 a.m.(Local time). The force of the blast blew off the embassy’s bomb-proof doors, which were later used as stretchers to carry away the injured. Injured people were rushed from the scene, as a plume of smoke rose above the Nairobi skyline. 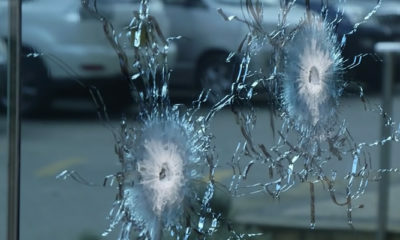 Windows were shattered as far as 10 blocks away, and bloodied clothing and papers littered the streets. On the same day, a second truck bomb exploded outside of the US Embassy in Dar es Salaam, Tanzania, causing extensive damage to the building killing 12 people.In total, the two bombings killed 224 people, including 12 Americans. The Terrorist group al Qaeda claimed responsibility for the bombings and more than 20 people have been indicted in the United States for the bombings. Eight are currently serving prison terms. On November 22, 2002 an Israeli owned hotel In Mombasa was bombed just as two missiles were fired at an Israeli holiday jet that had taken off from the city’s airport. The missiles narrowly missed the Arkia airline plane – a Boeing 757 carrying 261 passengers – but a large part of the Paradise Hotel was reduced to rubble and the rest was a smouldering shell.15 people died. Kenya police claimed three suicide bombers were killed, along with nine Kenyans and three Israelis, two of whom were children. About 80 people, most of them Kenyans, were injured in the attack. The Army of Palestine claimed responsibility for the attacks, however, speculations arose that it could have been Al-Qaeda. In the months of August 2007 and 2008 respectively, the Ugandan army bombed over 5,000 Turkana pastoralists in Koten in a move to flush them out of the area. UPDF was accused of bombing the Turkana pastoralists in Nakwanye (Nakwanga) and Morutorong in August 2008. On 21 October 2010 thirty people were reported to have been killed following the night clashes between Al-Shabaab and a pro-government Somali militia on the Kenya-Somali border. 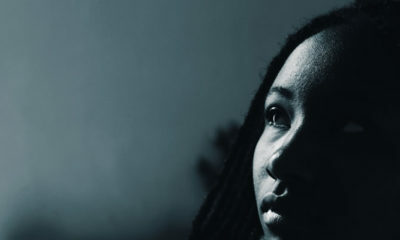 In October 2011, Kenya sent troops into Somalia after Kenya’s national security was threatened by the Somalia-based Islamist militant group, Al-Shabaab. The terrorist group had in fact carried out a number of cross-border raids during the months preceding the operation. 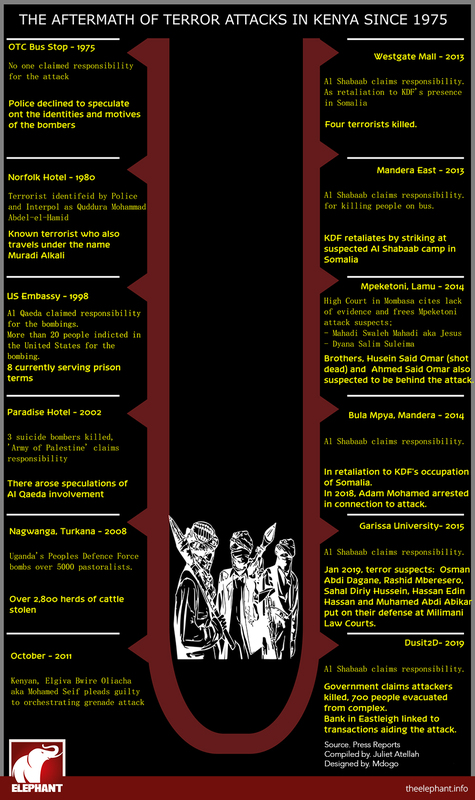 On October 28, 2011, Kenyan born Elgiva Bwire Oliacha alias Mohamed Seif pleaded guilty to a grenade attack in Nairobi. Elgiva Bwire Oliacha confessed to being a member of Al-Shabaab, and admitted his role in a terror attack that took place in Nairobi. One person was killed in the and 20 others were wounded after the grenade was detonated in a bar. On 10 March 2012, Al Shabaab killed six people and wounded sixty more after four grenades were detonated at the Machakos bus station in Nairobi. On 18 November 2012, seven passengers were killed and 33 others injured following a bomb blast in a city matatu. On 21 September 2013, Al Shabaab attacked pedestrians at Westgate Shopping Mall. 68 people were killed and over 150 people injured over the four days siege. Witnesses claimed that the attack was highly organised, with the attackers having pre-positioned weapons throughout the building, as well as obtaining access to service elevators. Al Shabaab claimed responsibility. On 23 November 2013, suspected Al Shabaab militants killed at least 28 people on a bus in Arabiya area, Mandera County. The heavily armed militias were reported to have waylaid a Nairobi bound bus, which left the incursion prone Mandera town early in the morning between Mandera and Arabia. According to the Mandera East sub-county commissioner Elvis Korir the assailants stopped the bus, veered off from the main road before separating passengers and targeting those they perceived to be non-Muslim. Al-Shabaab claimed responsibility for the killings through its radio station in Somalia, saying it was in retaliation for raids by the government security officials in the coastal city of Mombasa closed two mosques after allegedly found hosting radicalised Muslim youth and cache of firearms among them hand grenades. Between 15 June and 17 June 2014, more than 60 people were killed in attacks in and near Mpeketoni, Kenya. The Somalia-based Al-Shabaab militant group claimed responsibility, but the Kenyan President Uhuru Kenyatta asserted that the attacks were organized by local politicians with ties to a network of gangs. In July 2014, 21 people were killed in Hindi village located in Lamu county. Al Shabaab claimed responsibility. In August 2017, anti-terrorism detectives gunned down Hussein Said Omar aka Babley, a terror suspect after a police shootout. According to police reports, Babley and his brother Ahmed Said Omar alias Dogo were both suspected to be behind the 2014 Mpeketoni massacre. On November 21, 2014, 28 people were killed after suspected Al-Shabaab militants attacked a Nairobi-bound bus in Omar Jilo, in Mandera County. Witnesses said the attackers ordered all off the bus, divided the passengers along ethnic lines – Somali and non-Somali, shooting all non-Somalis. Many of the deceased were teachers. Al Shabaab claimed the responsibility of the killing of the 36-non local Kenyans at a quarry in Koromei area near Mandera in the night of December 1, 2014 through a pro-Al-Shabaab website. They claimed that the attack on Koromei was part of series of attacks executed by the Mujahidin to serve as a response to Kenya’s occupation of Somalia and the killing of innocent Somalis. On April 2, 2015, Al Shabaab gunmen attacked Garissa University killing 148 people. Among the deceased,142 were students. On July 7, 2015, Al Shabaab attacked Mandera town, throwing grenades into the homes of quarry workers. 14 people were confirmed dead. Al Shabaab claimed responsibility, declaring they were specifically targeting Christians in the attack to avenge killings of Muslims in Somalia and Kenya by Kenyan security forces. On October 25, 2016, Al Shabaab gunmen attacked Boshari Guest house during the early morning hours. 12 people were killed. Al Shabaab claimed responsibility, claiming there target were Christians. On November 6, 2017, Al-Shabab militants ambushed and burnt down two police land cruisers in an attack in Daba City, Mandera County. The two vehicles carrying police officers were escorting a bus to Mandera when they were hit by rocket-propelled grenades. 12 killed, several wounded. On August 13, 2017, Al-Shabaab destroyed a Kenyan police vehicle which was driving through Yadi, Damase and El Wak towns in Mandera with an improvised explosive device. Fatalities were recorded. On September 25, 2018, Al-Shabaab militants claimed to have overrun a Kenyan military base in Taksile area north of Pandaguo, Lamu County. They killed 10 Kenyan soldiers. Kenyan military sources reported the clashes, although they claimed that 10 Al-Shabaab fighters had been killed. On January 15, 2019 Al Shabaab attacked Nairobi, DusitD2 hotel. 21 people were killed and several other injured. About 700 people were rescued from the compound. On February 26, 2019 Director of Public Prosecutions (DPP) Noordin Haji claimed the Diamond Trust Bank (DTB) Eastleigh branch has been accused of helping to finance terror-related crimes by facilitating the withdrawal of Sh30 million by a suspect in one week to Jilib town which is the headquarters of Al-Shabaab. Where Do Kenyans Seek Medical Treatment? In Kenya there are about 15 medical doctors for every 100,000 persons, a ratio that is quite low. Due to this, people seek other alternative sources of health care. For this reason, over 70% of Kenyans rely on traditional healers as their primary source of health care. In Kenya there are about 15 medical doctors for every 100,000 persons, a ratio that is quite low. Due to this, people seek other alternative sources of health care. For this reason, over 70% of Kenyans rely on traditional healers as their primary source of health care. This number is high because healers respond to diverse needs – they work as herbalists and birth attendants and they’re within reach of ordinary citizens. Estimates suggest that there is one healer for every 950 patients operating both in the rural and urban settings. legitimacy and authority are bestowed on them particularly because they act as custodians of precious biodiversity and the bearers of traditional knowledge. 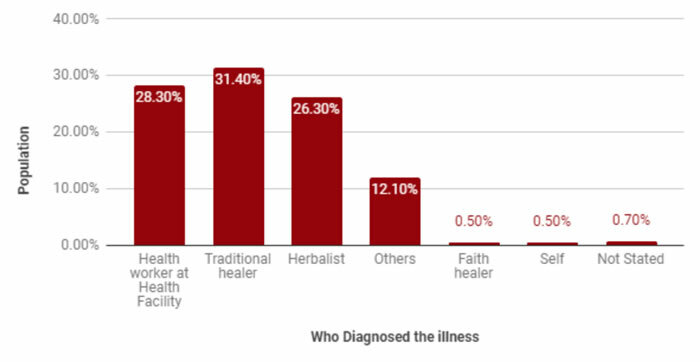 According to a national household survey released by Kenya National Bureau of Statistics, 57 percent of the population seek treatment from traditional healers and herbalists compared to 28 percent who accessed from health facilities. 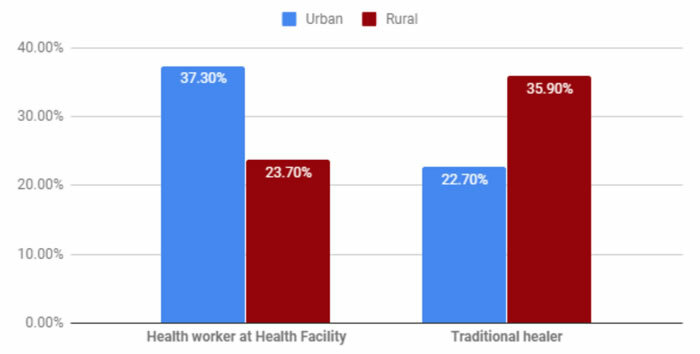 The same study also revealed that as compared to their counterparts in urban areas rural folk visit traditional healers more by a 13 percent difference, largely due to the distribution and accessibility of health centres in the rural areas viz. urban centres. 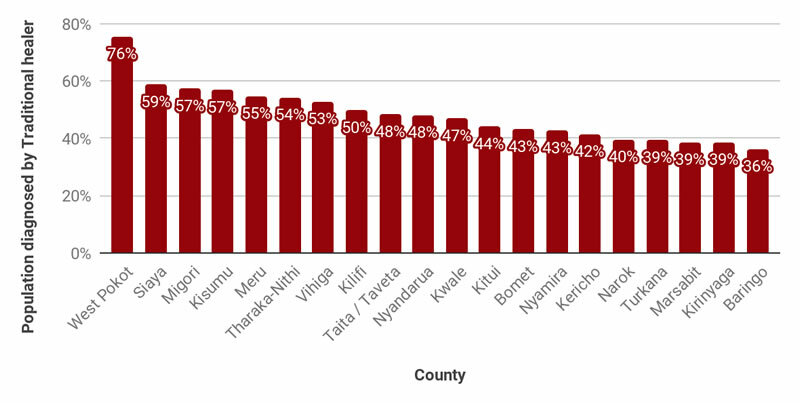 At 76 percent, 59 percent and 57 percent respectively, West Pokot, Siaya and Migori Counties reported the highest numbers as regards treatment by traditional healers and Baringo and Kirinyaga Counties recorded the lowest at 36 percent and 39 percent respectively. 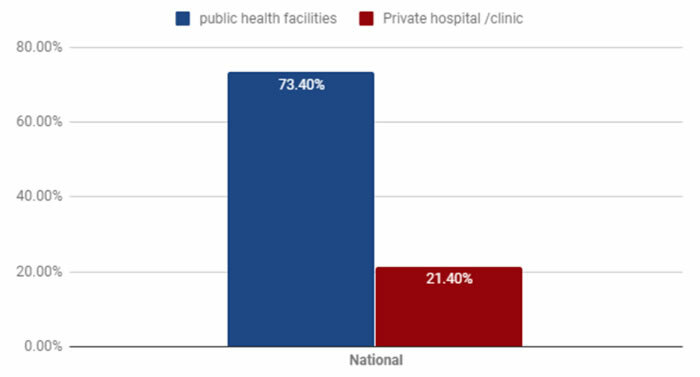 For those who seek treatment in the health facilities only 1 in 4 Kenyans have access to private hospitals or clinics while the majority of the population are reported to access treatment through public health government hospitals, dispensaries and health centres. 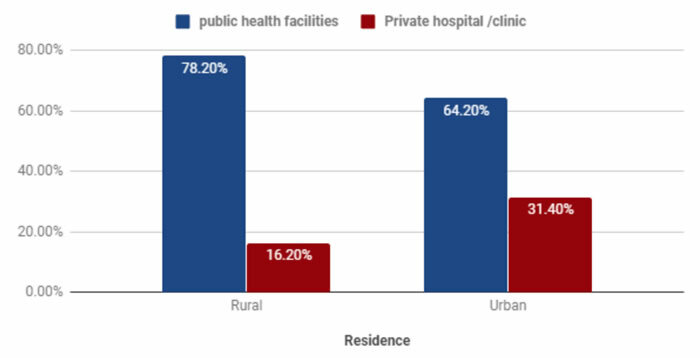 Urban constituents recorded a higher access to private hospitals at 78.2 percent than their rural counterpart at 64.2 percent. The government of Kenya seeks to have universal healthcare to all Kenyans by 2022 to guarantee access to quality and affordable health care. 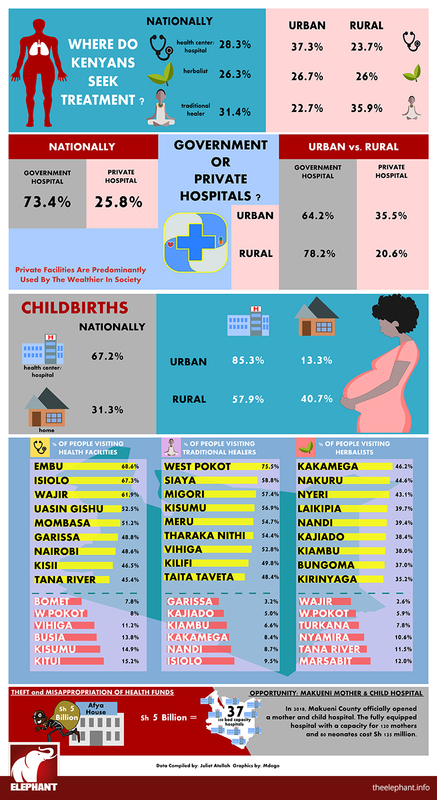 As the data suggests, government should therefore lay its emphasis in investing in public health systems and traditional medicine which have the potential to transform primary healthcare and make it more affordable and accessible.